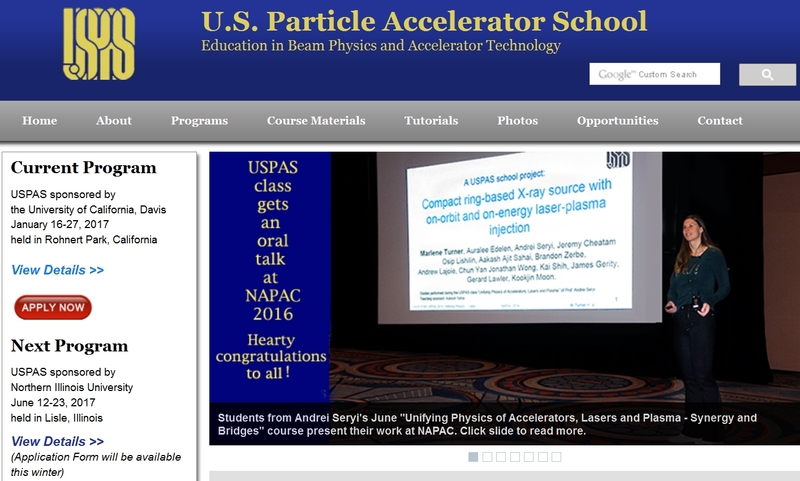 The US Particle Accelerator School front web-page has been recently updated to highlight a recent achievement that JAI should also be proud of. As we mentioned in the previous newsline, at summer 2016 USPAS session, Prof. Andrei Seryi, assisted by Dr. Aakash Sahai (JAI at Imperial College), taught the course "Unifying Physics of Accelerators, Lasers and Plasma – Synergy and Bridges”. This class turned out even more successful than we hoped for. The students design projects, which is a very effective learning-by-doing approach, which allows to connects many areas of accelerator, plasma or laser physics and produce a detailed conceptual design after just a week-long course – this training approach was introduced in JAI by Prof Ted Wilson, who we all will miss and remember. The success of this JAI’s training approach is a tribute to Prof Ted Wilson.